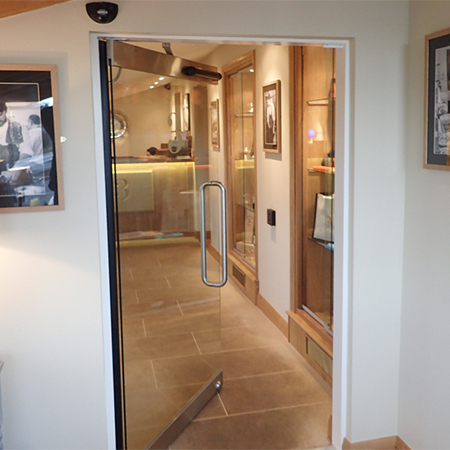 A TORMAX automatic glass swing door has been installed as part of refurbishment works at The Three Acres Inn just south of Huddersfield. 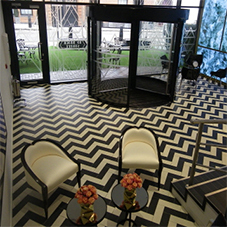 The door has been installed to welcome guests from the lobby into the elegantly decorated reception room. Whisper-quiet operation is assured thanks to the precision engineered, high-torque motor developed at the TORMAX HQ in Switzerland and combines with a level of reliability that has been proven in locations worldwide. 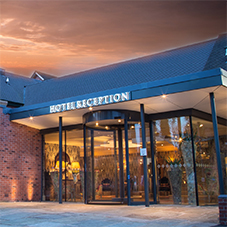 Maintaining natural light levels, the full glass door blends seamlessly with the contemporary décor of this Michelin-listed inn. Discreet and unobtrusive, the swing door is powered by the TORMAX 1201 operator which is housed in an anodized aluminium casing that is just 85mm high and 640mm long. It is still however a powerful operator, capable of automating swing doors measuring up to 1.4m wide and weighing up to 250kg and is also suitable for external applications. 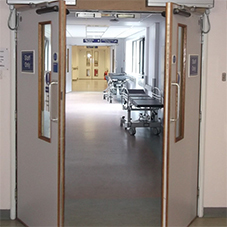 Delivering flexibility to meet all situations and minimising energy consumption at The Three Acres, the door can be set for use in Power Assist mode, whereby users are aided in opening the door manually, Low Energy mode which limits power and speed and is useful for quieter times, as well as Full Power application.